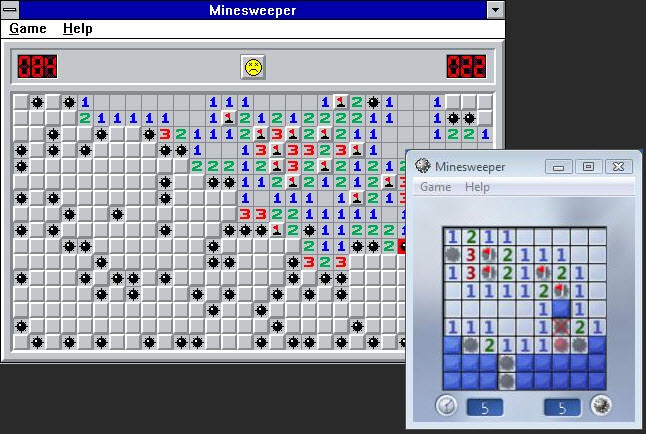 In Windows Vista or later, Minesweeper can be played by keyboard directly. You can move the cursor with arrow keys and use below shortcuts. In Windows XP or earlier versions, you need to enable MouseKeys under Accessibility Options. When MouseKeys are enabled, use Numpad to navigate. Only before Windows Vista: Type xyzzy and press Shift + Enter. The pixel in the top left corner of your screen is now white, and will turn black if the mouse moves above a mine. For useful information about Minesweeper, take a look at this wiki at minesweeper.info. Minesweeper is a logic game where you must uncover mines hidden under squares. Your task is to open all safe squares as fast as possible. The game became famous when it was included in Windows 3.1 by Microsoft. What is your favorite Minesweeper hotkey? Do you have any useful tips for program? Let other users know below.